EtsyMarketingTool is an easy-to-use web-based tool to improve your Etsy shop. No download is required. 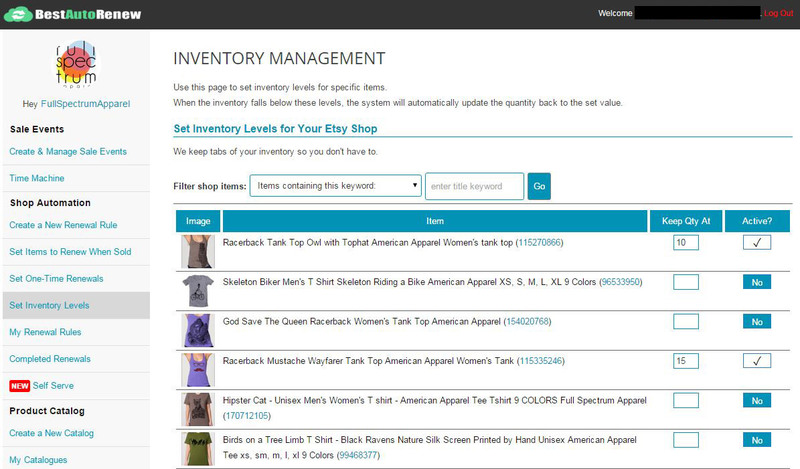 Here you can put your shop on sale to drive more sales, automate your items renewals, set inventory levelrs and more. 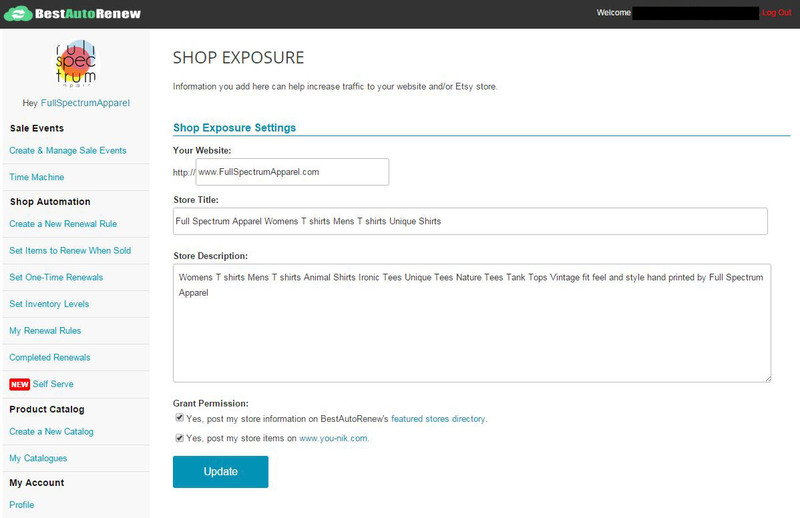 Use the following sections to learn about our seller tools in order to make the most of your Etsy shop automation and exposure. In three easy steps you can schedule the items you would like to renew. When you choose 'Specific Items', you will also be able to specify the specific listings to renew. 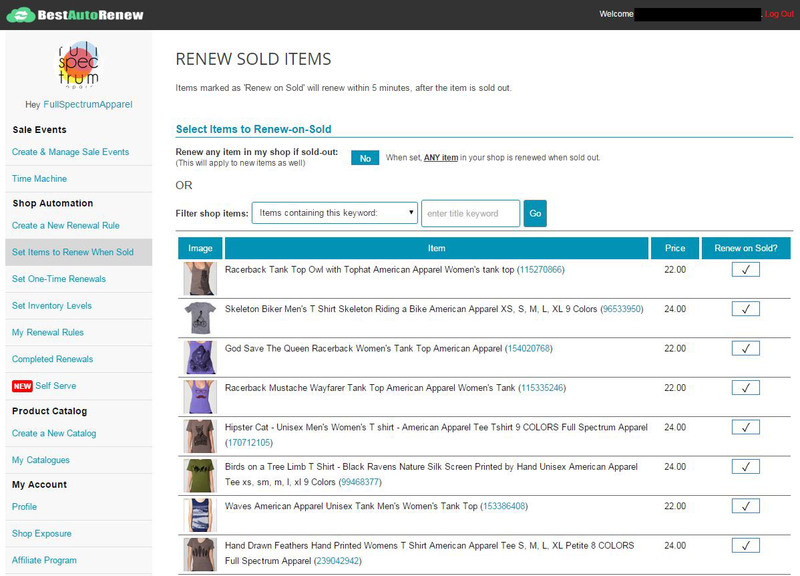 When you choose 'Random Items (by keywords)', you will also be able to specify the keywords based on which items are renewed. More options are available. 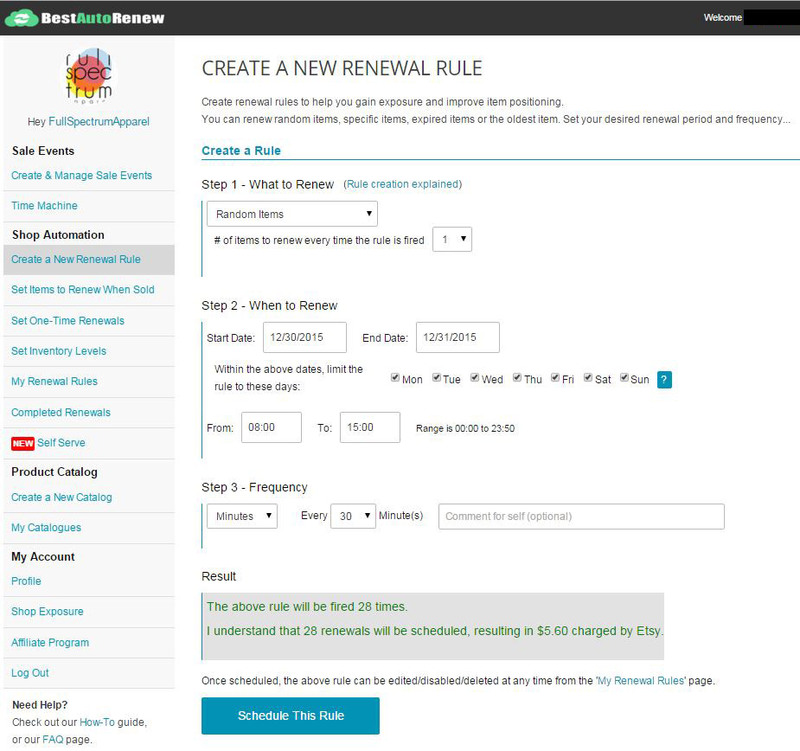 For a full step-by-step description of setting your new rule, please click here. Make videos out of your item photos and post them on Facebook, Twitter, Instagram or anywhere else. Start boosting your items today! Check our blog post for more details. 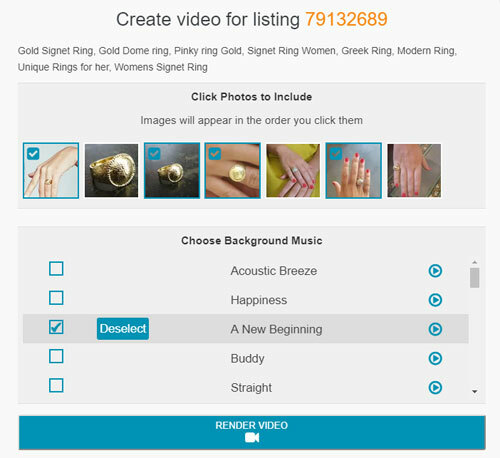 Choose the images to include in your video and add matching background music from our music collection. 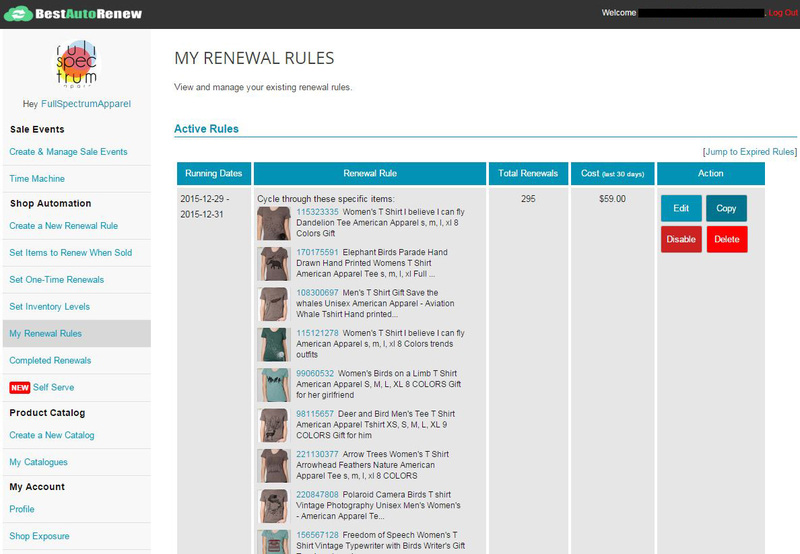 Using this page, you can review your renewal rules, edit/enable/disable them or simply delete them. 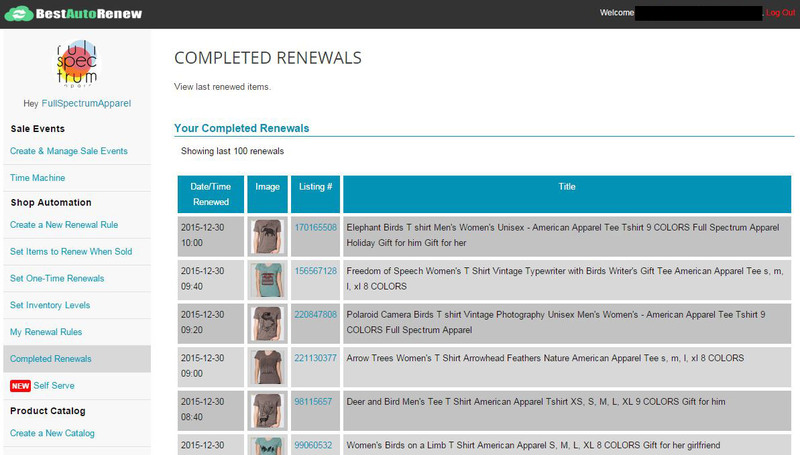 Use this feature to automatically renew items that are sold out and save yourself even more time managing your Etsy shop. Use this page to set the inventory levels for items that you always keep in stock. Our system will ensure that the quantity set in Etsy will always meet the quantities you set here, so your items are never marked as out-of-stock (i.e., are never sold-out). View this page to view the latest listings renewed by the tool. Information you add here can help increase traffic to your website and/or Etsy store. Your shop title and description will appear in our Featured Etsy Shops page. We will also showcase your items on www.you-nik.com. 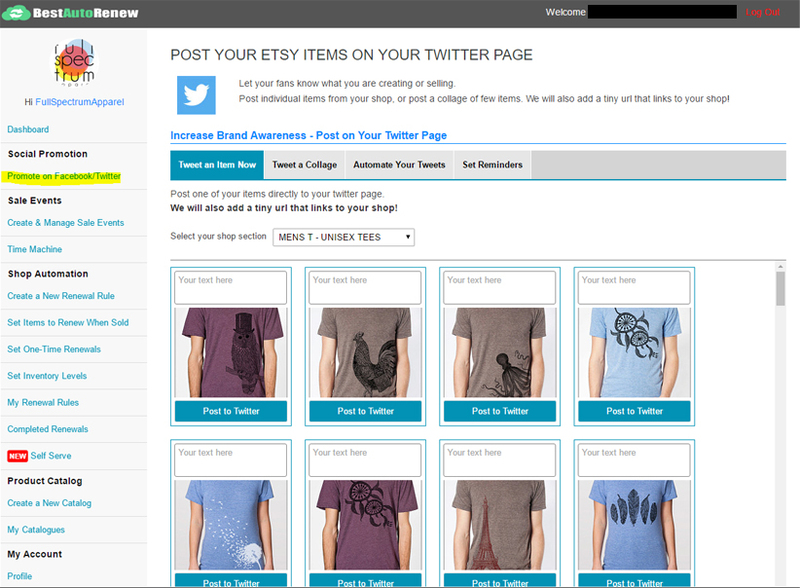 You can tweet any of your Etsy items at any given time, or schedule your tweets and our system will do the rest. Tweeting your items is another great way for improving exposure for your items. Using our system, you can also set automatic alerts to remind you to post on facebook/twitter on a regular basis. This way you will ensure you are on track with promoting your items on social channels. Choose the 'Promote on Facebook/Twitter' option to get started. You can add/remove tags in bulk for your entire shop of just specific shop sections. Using our tag tool is as simple as it can be. 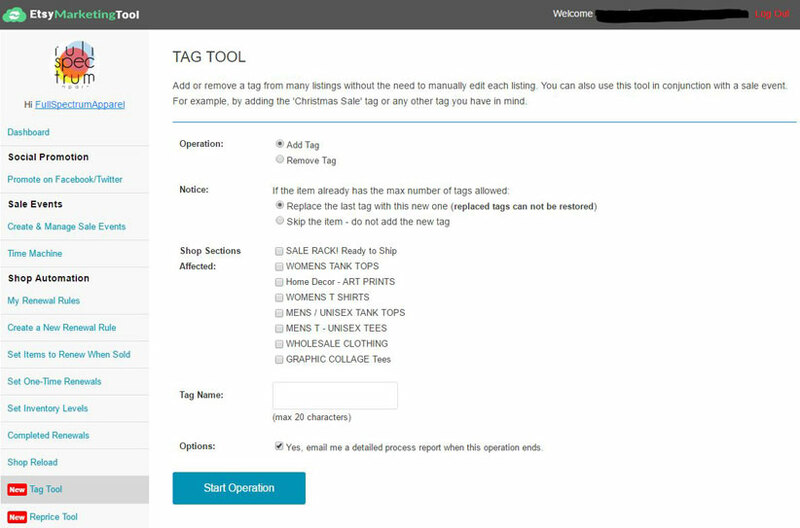 Choose whether you want to add or remove a tag, choose the shop sections to affect and the tag to use. Click start to make it happen. 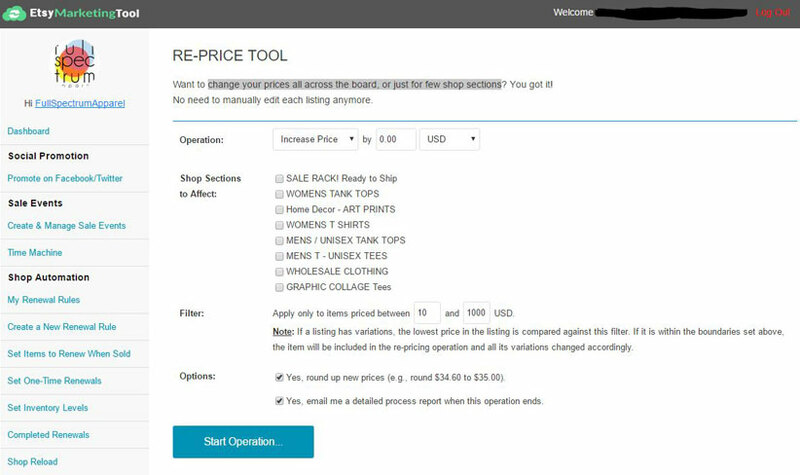 With our repricing tool you can change your Etsy shop prices all across the board, or just for few shop sections. Choose whether to increase or decrease the prices, choose the amount or percentage and the shop sections to afffect. Click start to make it happen.